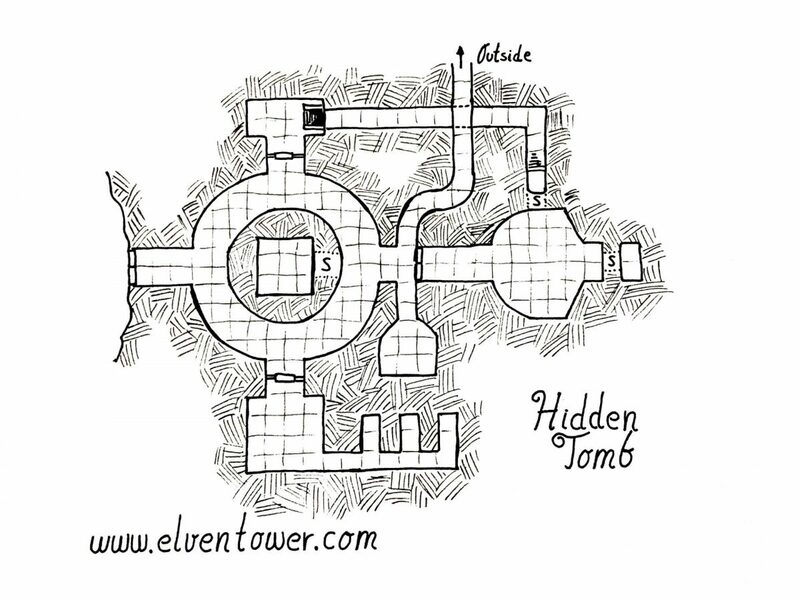 This map portrays a tomb that was long forgotten and just recently discovered by adventurers or researchers. Maybe a treasure map drew adventurers here, or a myth. Regardless of how it was found, the tomb has not been touched for thousands of years, what secrets may it hide? The map shows some secret door locations, two of them lead to hidden chambers, perfect for placing treasure or a trap.